One example of controlled behaviors has stirred up a variety of questions. 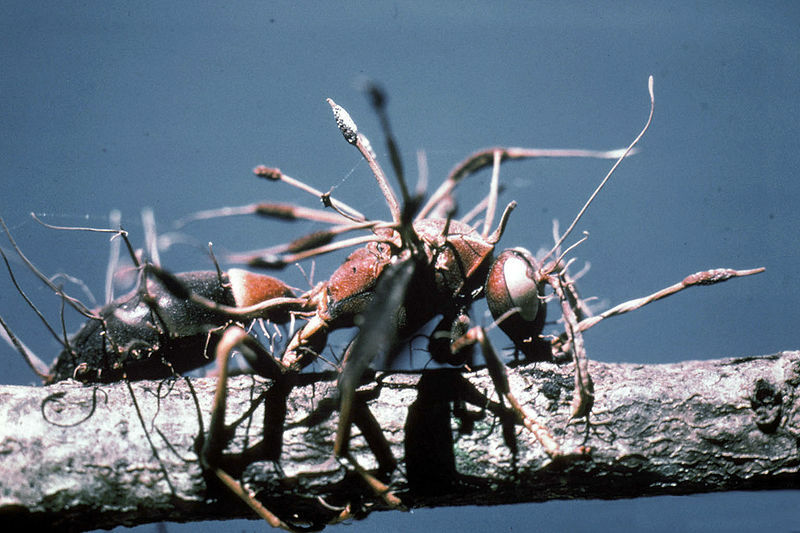 A species of fungus, Ophiocordyceps unilateralis, infects a type of carpenter ant. What is unusual about the infection is that the fungus somehow directs the ant to move to a location on the leaves of the trees normally inhabited by the ants. The location is highly specific in regard to temperature, humidity, and sunlight – ideal conditions for the fungus to grow. 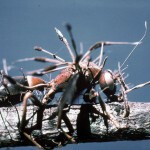 Once the ant has been guided to the correct site, it is forced to bite down and lock its mandibles in place like an anchor. The ant quickly dies as the fungus takes over and uses the body to grow and produce spores. Any ants walking below are susceptible to the falling spores once they are released. You can check out the fantastic YouTube clip from FreeScienceLectures by clicking here. How does the fungus control the ant? The scenario does bring up questions about why organisms have certain behaviors and what controls exist to direct them. What about our own behaviors is it predetermined by our genes? Print article This entry was posted by Erin McKechnie on February 8, 2010 at 11:20 pm, and is filed under DNA From The Beginning. Follow any responses to this post through RSS 2.0. You can skip to the end and leave a response. Pinging is currently not allowed.